The Right E-Commerce Solutions Make Your Life Easier, Your Business More Profitable. Accessible Computing® offers consultant services in our two major areas of expertise - e-commerce solutions and website usability and accessibility. We will provide you with practical, reliable advice on all areas of website design and development, as well as small business marketing. Accessible Computing® understands the relationship between business success and e-commerce solutions. Any programmer can talk to you about applications and databases, but only the Accessible Computing® experts can advise you on issues such as the connection between accessibility and Search Engine Optimization (SEO). Speaking of Internet Marketing- how well is your website doing in the search engines? Order our free website visibility and ranking report to find out. Just submit a Request for More Information, and we'll send you the report free of charge, with no obligation. Technology can, and should, enhance every aspect of your business. The right e-commerce solutions can save you time, streamline your day-to-day operations, automate routine tasks and - most importantly - increase your profits. The trick is knowing what the right solutions are. That's where Accessible Computing® comes in. Our years of experience and diverse array of clients has given us insight into what businesses need from their website and technology. Want to quickly and easily generate a list of solid sales prospects? Talk to us about Customer Relationship Management (CRM) solutions. Ready to start selling your products online? Learn more about our e-commerce solutions. Fill out a Request for More Informationto learn about Accessible Computing®'s consultant services, as well as our full range of website and Internet Marketing services. We're looking forward to talking to you! Our in-depth knowledge of U.S. government and worldwide accessibility standards set us apart from other e-commerce consulting services. Accessible Computing® will analyze your website to find any accessibility compliance problems. Ensuring your website's accessibility prevents legal complications and helps you move up the ranks of the search engine results pages. 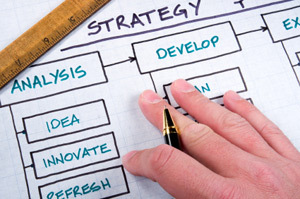 Usability consulting involves a thorough, objective review of your website. The purpose of a usability analysis is to identify any elements of your website that are making it less than user-friendly. Once you get the visitors to your site, you want to keep them there. Accessible Consulting can advise you on ways to improve your website so that users have the best experience possible. Have questions? Accessible Computing® is here to help businesses navigate the tricky waters of e-commerce. Simply complete the Request for Information today, and we'll be in touch shortly to answer all of your questions.